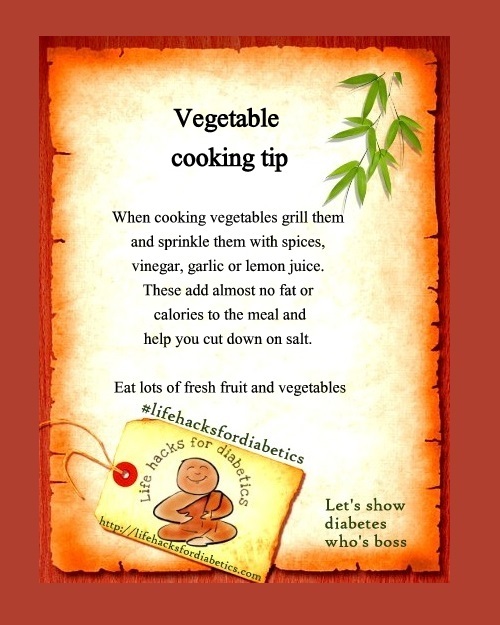 When cooking vegetables grill them and sprinkle them with spices, vinegar, garlic or lemon juice. These add almost no fat or calories to the meal and help you cut down on salt. Eat lots of fresh fruit and vegetables. V is for Vegetable cooking tip!